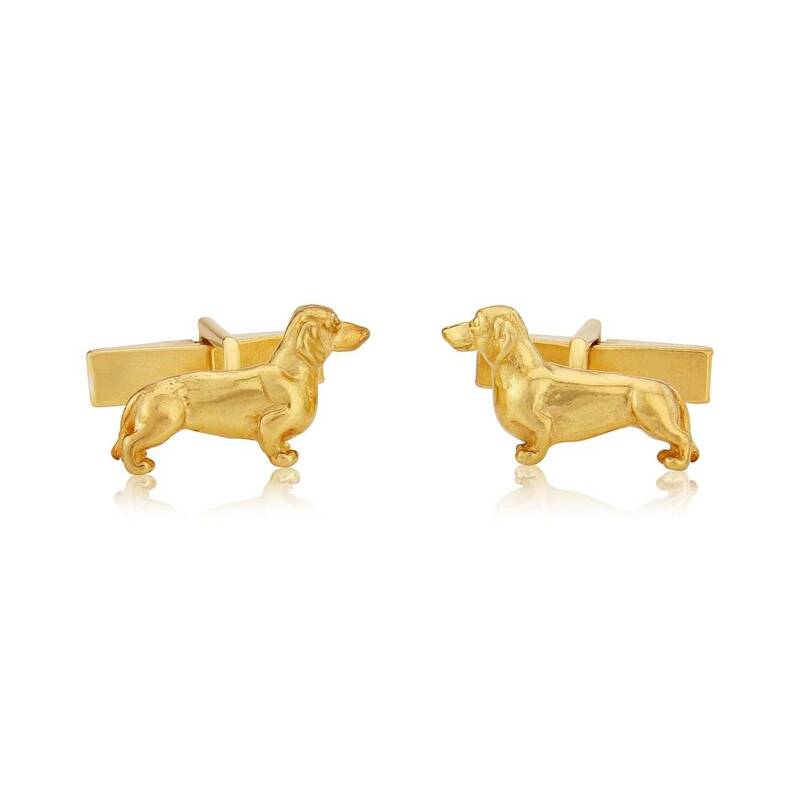 The lovable Dachshund as a stunning pair of cufflinks, made from solid Sterling Silver with a 9 carat Gold layer. These gorgeous cufflinks are ideal for the discerning gentleman fond of his beloved Dachshund. This realistic mini sculpture is made in Surrey by Simon Kemp who is is a third generation British jeweller of 29 years standing. He counts amongst his most prestigious Clients the British Museum, the London Zoo, and the National Trust of Scotland. We only use robust Sterling Silver cufflink swivels for utmost quality. All our cufflinks carry a 10 years guarantee and come in a stylish, branded black cufflink box. A perfect gift for the man who values quality, individual cufflinks. This design can also be ordered in Sterling Silver throughout (see our listing), in 9 or 18 ct solid yellow Gold, as well as in White Gold and Rose Gold. All our solid Gold jewellery carries a full British Hallmark and comes with a Certificate of Authenticity signed by Simon. It is possible to have a precious stone of your choosing set in the eye of the Dachshund. We also offer a hand engraving service, at extra cost, should you wish to have initials and/or date engraved. 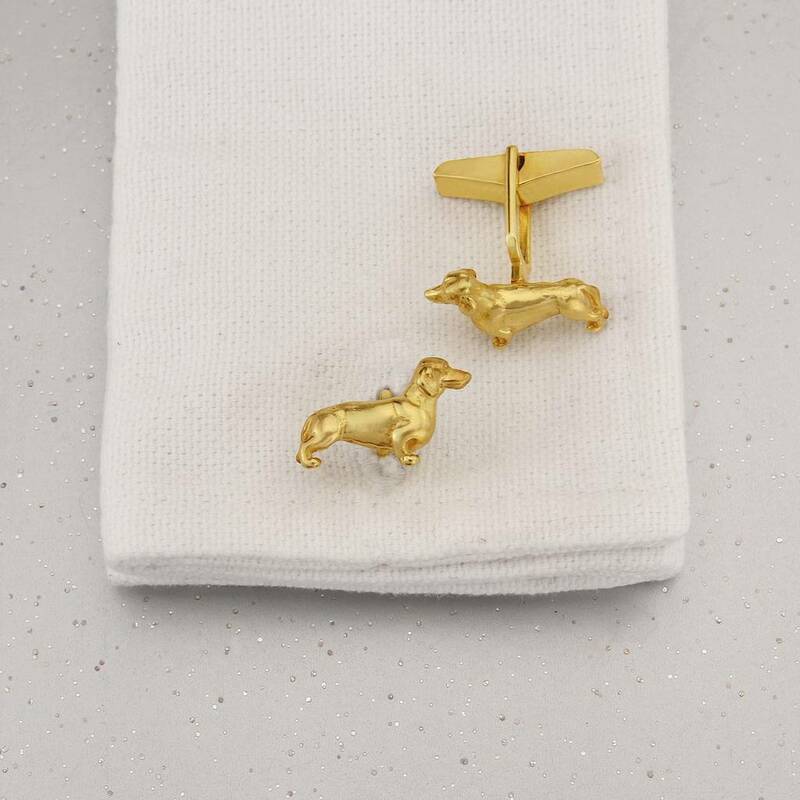 These cufflinks are made from solid Sterling Silver, layered with 9CT Gold . They can be cleaned and polished with the "Silver Cloth" or "Gold Cloth". 2cm width x 1.2cm height. This product is dispatched to you by Simon Kemp Jewellers.